After some time off, I’ve returned to editing the Sarna.net wiki and have plenty of ideas for improving the wiki. As usual, there’s the constant need for new articles and article updates, as well as the ever-growing pile of articles that need proofreading. I want to pick up where I left off with the unofficial “project video games”. 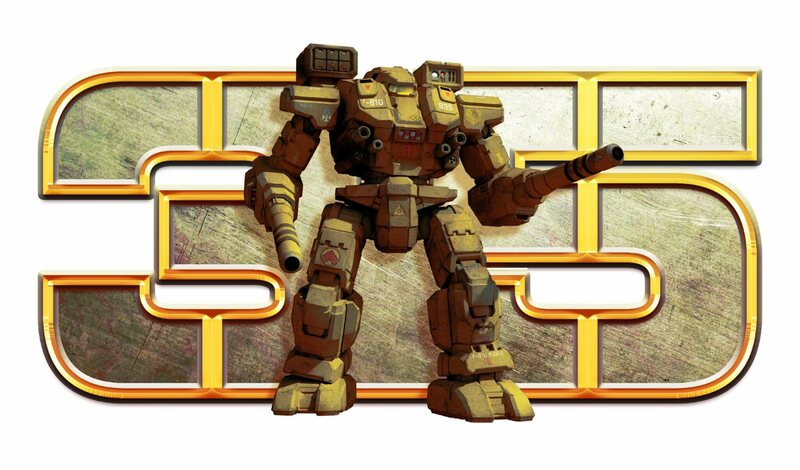 With this project we are aiming to vastly improve our coverage of the various video games in the BattleTech universe. Though these games are not expressly canon, they still are an important part of the ongoing universe and deserve better coverage than they have gotten. So far, we have quantified and organized all the MechCommander and MechCommander 2 equipment stats, but the ’Mech and vehicle pages for the original MechCommander need work. With more help for those pages and for all the MechWarrior games’ related pages, these video games could be much better covered. This entry was posted in Community, Video Games and tagged MechCommander, MechWarrior, Video Games, Wiki on 2016/06/02 by BobTheZombie. Scenario Packs and their ilk have been with us for almost as long as we’ve had the game. From the first campaigns to the latest Turning Point, we have seen a ton of scenario packs released down through the ages. Sure, a handful of scenarios like Unbound, Living Legends and Necromo Nightmare might strike some fans as problematic from a variety of angles. Sales of modules, adventures, and scenarios are almost always going to be among your worst sellers. And it’s no surprise that we’ve seen a variety of different takes of the Scenario pack, whether it’s replaying a major battle or campaign (Luthien, Tukkayid, Twycross) or whether it’s running the battles of a famous unit (Northwind Highlanders, Tales of the Black Widow Company), many scenario packs are repeats of famous aspects of the universe. But when they don’t sell well, you get different flavors, such as generic ones like Operation: Flashpoint, Operation: Stiletto or those that push the limits of the universe (of which Living Legends is clearly the blatant example). With that stated, what are my three favorite scenarios? 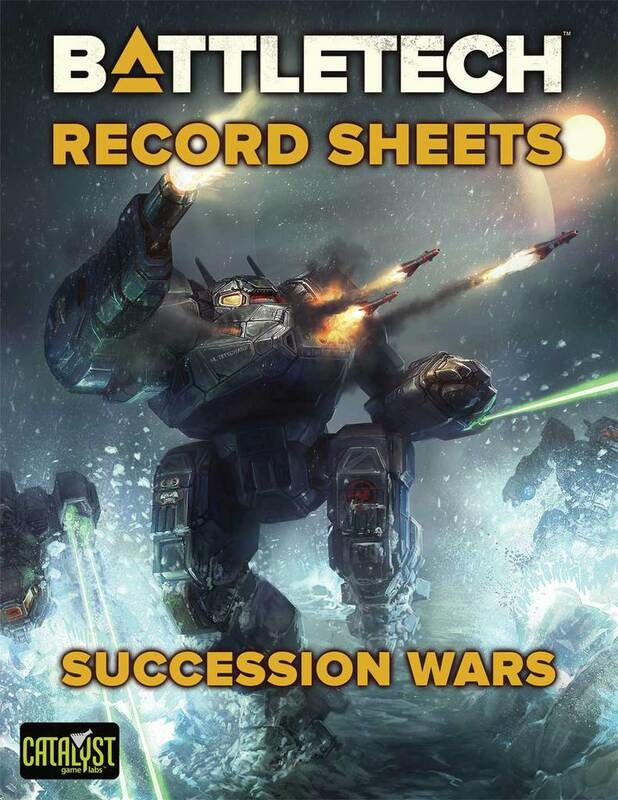 This entry was posted in Historical, Reviews and tagged BattleTech, MechWarrior, Retrospective, Reviews on 2015/01/11 by Abe Sargent. 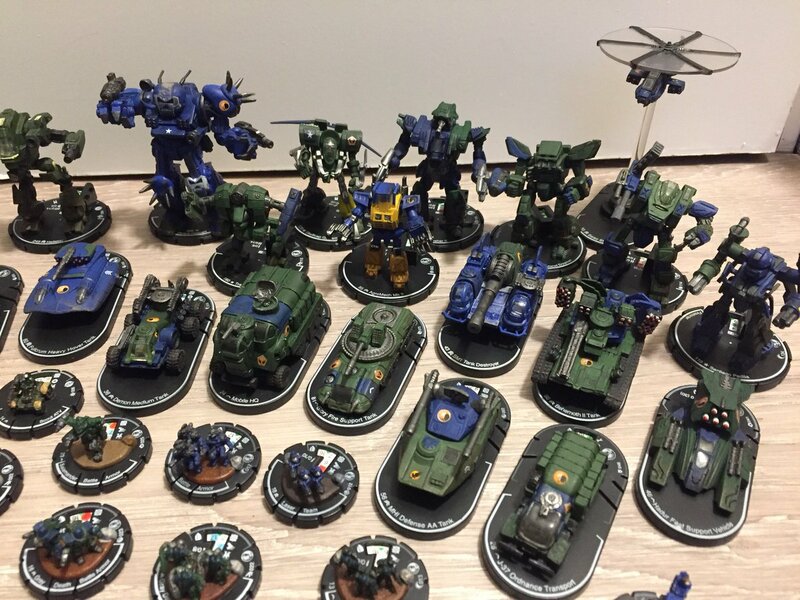 It was over a month ago that I wrote about a Warhawk ‘mech cosplay; I mentioned that the BattleTech themed projects I’ve seen online have been almost universally reverse-join clan designs entered in competitions. These have been more puppets than outfits, really; with the operator’s black-clad legs sticking out the back and between those of the ‘mech. 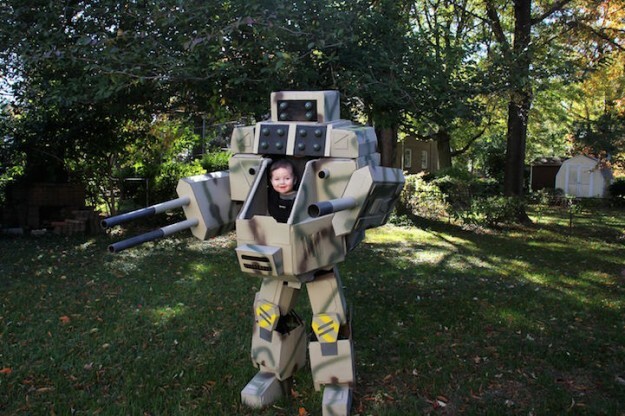 But in this My Modern Met article, a BattleTech fan has not only put together an inner sphere assault ‘Mech, but it’s a proper suit since the Sunder is a nice, slat-sided humanoid design with limbs bulky enough to accommodate both himself and his infant son Geraint- who seems more than happy to pilot the BattleMech powered by his dad, Ryan. The article also explains that the torso and arms attach by velcro around Ryan and Geraint- who sits in a baby harness strapped to dad’s chest. The legs attach to a belt around the waist, so it doesn’t take long to don the Sunder suit. This entry was posted in Community, News and tagged Artwork, cosplay, Mechs, MechWarrior, Media on 2014/11/17 by Ron. 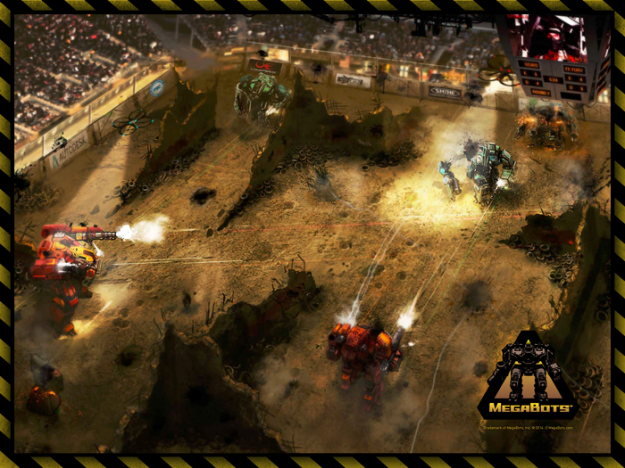 Megabots- Is Solaris VII Coming to Live Action Fruition? Growing up amidst the popularity of both the giant robot craze and the never-ending advancement of technology in both the military industrial complex and commercial avenues- I keep waiting for life to imitate art. Over the years even private individuals have taken a swing at constructing real stompy robots with some pretty mixed results at best. Unlike BattleTech, we’re seeing the beginnings of powered armor proliferation, but not a large robot. The reason, of course, is that there is absolutely nothing simple about how a bipedal being moves. 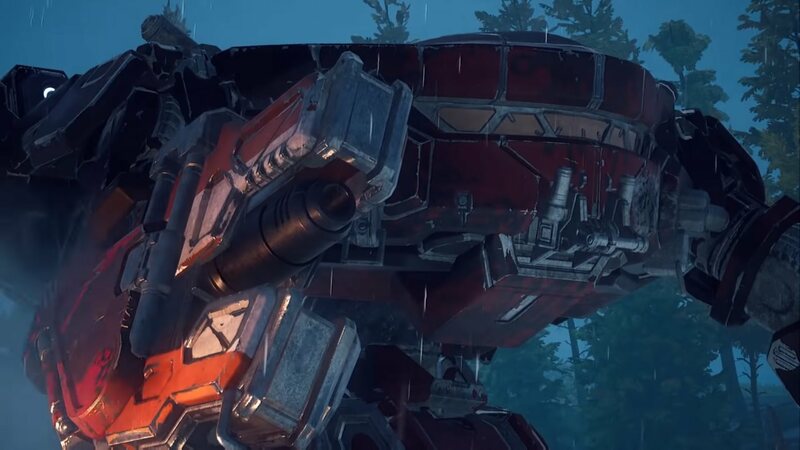 From the standpoint of a fighting vehicle, designing a multi-ton machine that puts all of its weight on a pair of feet just doesn’t translate well, and the larger you try to scale them, the more difficult the problem becomes. SO when I read about an ambitious kickstarter to build a pair of bipedal fighting machines for the express purpose of having a death match- I was hesitant. But optimistically so. This entry was posted in News, Science and tagged BattleTech, Duncan Fisher, George Ledoux, MechWarrior, technology, Tournament on 2014/11/02 by Ron. 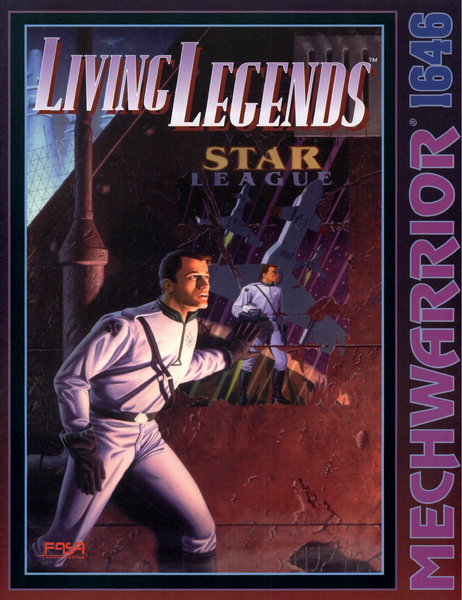 I recently ran a campaign through 3058 that included the module Living Legends. My personal mercenary unit had already accepted a contract to work for the Draconis Combine in anti-Clan efforts in the vicinity where the Manassas appeared. I did a little research and found this adventure was slated for that area and time frame. I bought it, and ran it with some modifications. For those who may not be aware, this book chronicles a WarShip, the Manassas, from the original Kerensky fleet with an experimental modified jump engine that can jump an extra ten light years. It misjumps and leaps forward in time almost 300 years, into 3058. By the end of the adventure, this wonder of technology is destroyed. One of the main concerns many have with Living Legends is that the time-travel component just doesn’t have the ring of the authentic BattleTech universe. One of the things I love about it is the feel of the universe. We are all alone out here. And things like time travel aren’t normally possible. And yet here we find a pristine ship from the Star League Defense Force on the backdoor. Obviously, this adventure opens up other questions. Can a ship misjump backwards in time? Can the 40 light-year K-F drive be replicated? Can other misjumps from history be scheduled to arrive any moment? What do you do with Living Legends? Do you run it? Do you modify it? 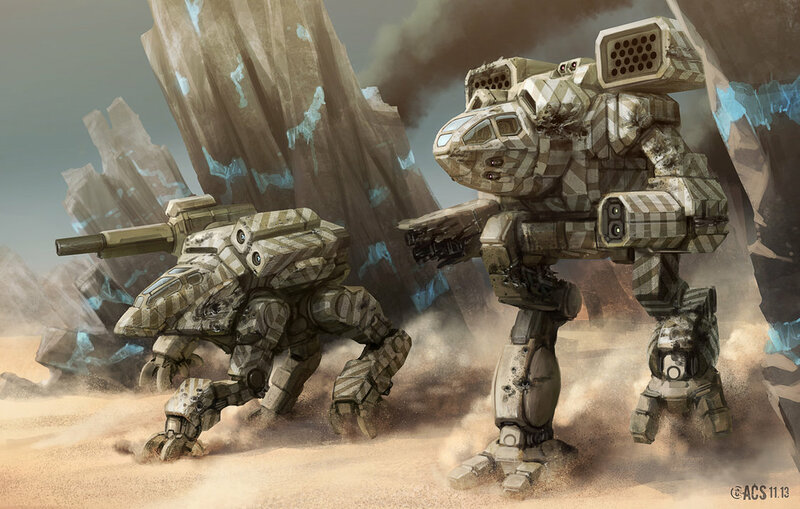 Does it exist in your personal BattleTech campaigns and universe? 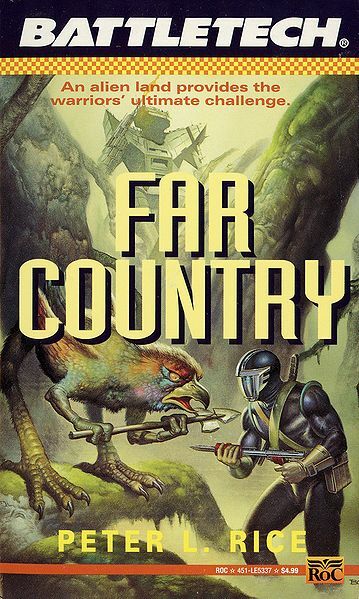 I guess it’s similar to the novel Far Country, where a misjump sends folks to a planet far away from humanity that has intelligent birdlike aliens running around. Do you add alien life to your campaigns? What about misjumps so far away as to be beyond known space entirely? Do you use the planet of Kaetetôã in your campaign? It seems like we have similar questions. To what degree do these examples of out-of-flavor aspects of BattleTech populate your own universe? Do you use them for inspiration? Pretend they never happened? Modify them somewhere? What do you do with them? 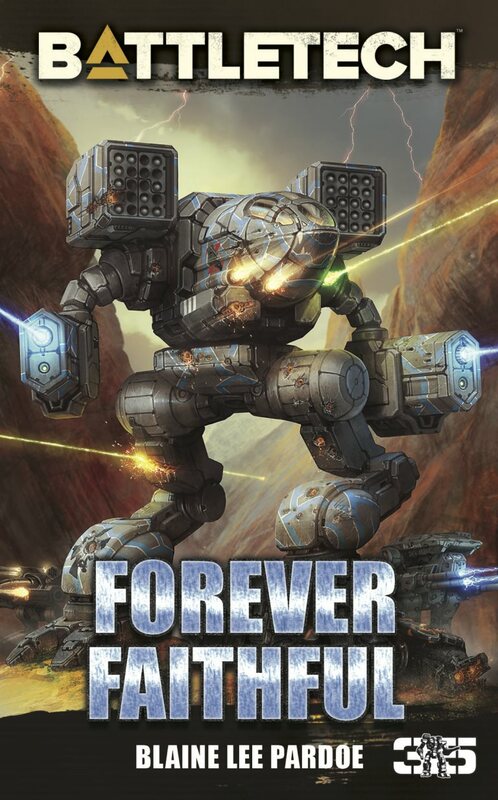 This entry was posted in Novels, Reviews, RPG and tagged BattleTech, MechWarrior, Retrospective, RPG on 2014/04/23 by Abe Sargent. A lot of fanboys quietly held their breath when FASA suffered a catastrophic reactor core breach in 2001. 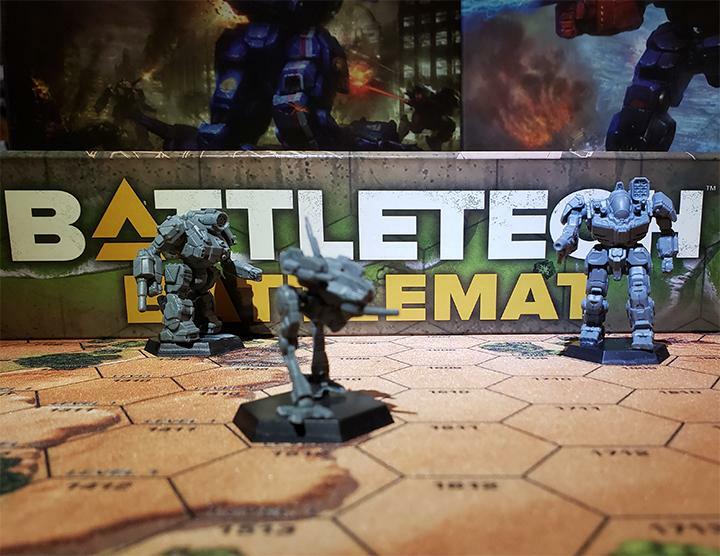 A lot of us didn’t know if there would be new BattleTech-themed videogames, or even tabletop games. Heck I still don’t know how entertainment companies work. 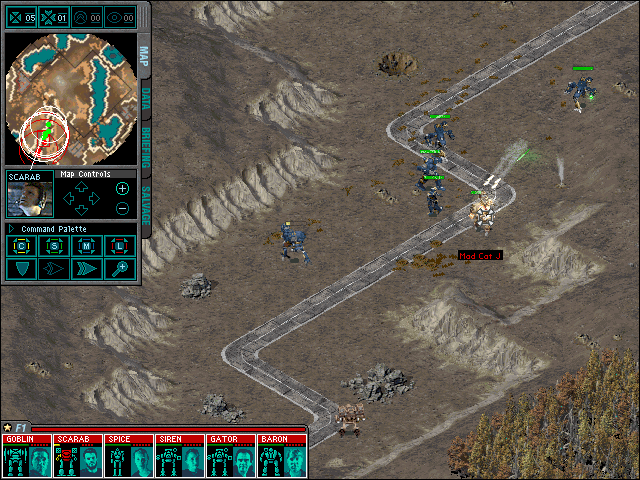 MechWarrior IV was the last classically developed first person sim in the franchise for nearly a decade. Thankfully it’s release really let us fanboys who were worried about the FASA fallout breathe easier. 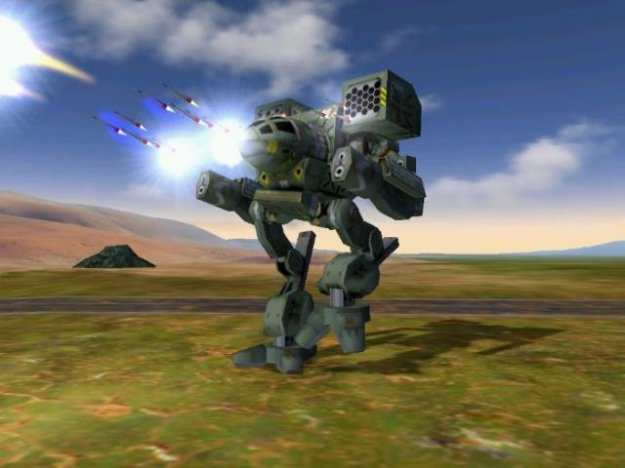 MechWarrior, at least for the time being, wasn’t going anywhere. 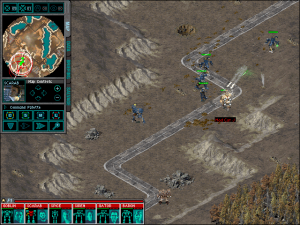 The game was also the basis for a number of expansions and incarnations. This includes the current BattleTech Firestorm system used by the Virtual World Tesla II sim pods at various gaming centers and private collections around the country. The hills are alive with the sound of LRM fire. This entry was posted in Reviews, Video Games and tagged MechWarrior, MechWarrior 4, Retrospective, Reviews, Video Games on 2014/02/10 by Ron.